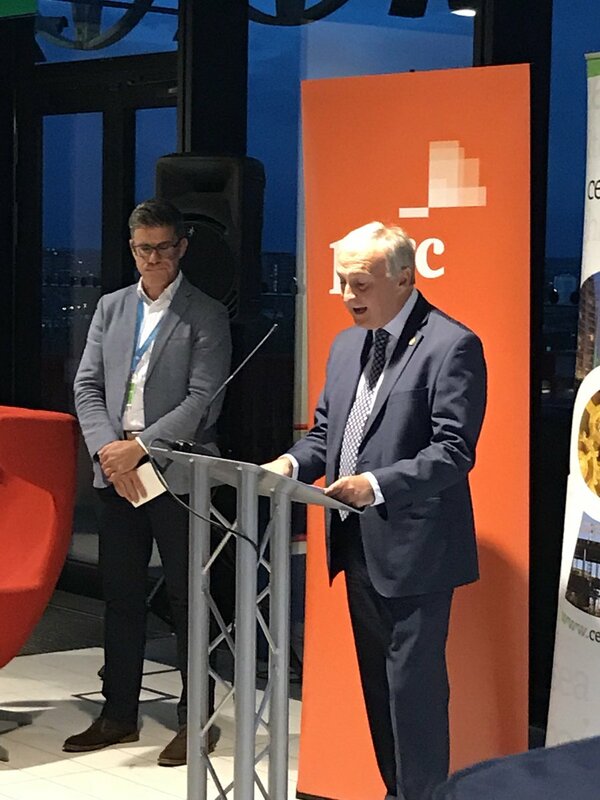 My speech at last night’s Centre for Cities event. May I offer you a warm welcome to Birmingham – one of Europe’s youngest cities and, of course, home to the UK’s largest local authority. You come to Birmingham at an exciting time. This young, diverse, creative city is going through a dramatic period of transformation at the moment. We’re building homes, attracting investment, creating jobs, building the infrastructure for HS2, hoping to get the nod as the new home of Channel 4 and preparing to host the 2022 Commonwealth Games. I’m proud of Birmingham. I was born here, I’ve lived here all my life and I’ve seen the city change almost beyond recognition from the Birmingham of my childhood. This city is currently buzzing with the noise of regeneration and we have many reasons for optimism. The Good Cities Growth index rated us as the most improved in the UK in 2017 and we continue to attract new investment and new homes. In recent years, Birmingham has seen the fastest growth in business numbers in the country. With an economy worth £24.8bn, this city has a growth rate of 19.2% in the last five years and is one of the largest growing city economies in the UK. Last year we were once again the most entrepreneurial city in Britain outside London as 12,108 new businesses opened their doors in 2017. And Birmingham is ranked as having the highest quality of life of any English city outside the capital, by the global Mercer Quality of Living Report 2018. Of course, I don’t have to sell Birmingham to the people in this room. You must like the city because you keep coming back! In increasingly uncertain times, this great city and the wider region stand ready to play a pivotal role in the UK economy whatever happens with Brexit. Through the West Midlands Combined Authority, we are working very closely with the West Midlands Mayor Andy Street to get the best possible deal for the people of this city and this region. Our collaborative work on the Local Industrial Strategy is a prime example. As the Combined Authority’s portfolio lead for economic growth, I’m working closely with the Mayor to grow our regional economy in a way that can bring greater prosperity to all our communities. Like cities and city regions up and down the UK, Birmingham and the West Midlands will be more important than ever if and when we leave the European Union. I’m sure I won’t be the only person over the next four days to talk about the importance of rebalancing the UK economy. We’ve been talking about it for years, but spending in this country remains stubbornly London-centric. It surely cannot be right, for example, that transport investment stands at almost £1,000 per head for London, but just over £300 for Birmingham and the West Midlands. Yes the regions miss out, but so does the UK economy as a whole. We stand ready to play our part. Invest is us and we’ll deliver – not just for Birmingham and the West Midlands – but for Britain.